This topic contains 0 replies, has 1 voice, and was last updated by Edwin F Uruchima 11 months, 1 week ago. 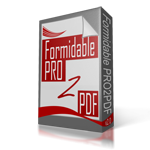 I currently have a license that allows me to use PRO2PDF on 2 sites and for 40 forms. I need to upgrade it to 1 more site. So the new total would be 3 sites and 40 forms. I tried to use your upgrade link but it didn’t work. Please let me know if someone could privately e-mail me so I could provide you with my license number and you could tell me how I can pay to upgrade it. Thank you.